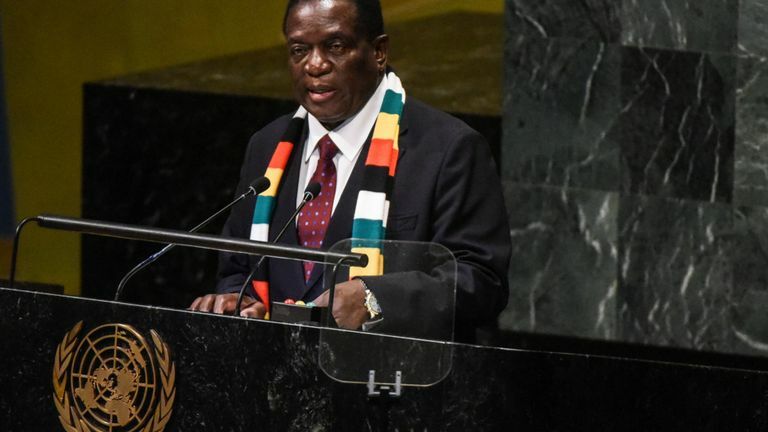 When the scarf-clad Zimbabwean president, Emmerson Mnangagwa, touched down at Harare’s scruffy-looking airport, he did not get the sort of reception that I am sure he was hoping for. He had spent a week in Europe trying to drum up investment and loans to keep his bankrupt administration afloat but he came home with little in the way of financial support. What’s more, he was going have to deal with the fact that tens of thousands of Zimbabweans had been protesting a whopping 150% rise in petrol and diesel. The protests have been met by a brutal police crackdown which saw 12 people killed and dozens injured. Mr Mnangagwa’s trip, which was supposed to include a stop at the Davos Economic Forum, was always going to be a challenge. The one-time aide to former dictator Robert Mugabe took power in a military coup and won a contentious election last year. 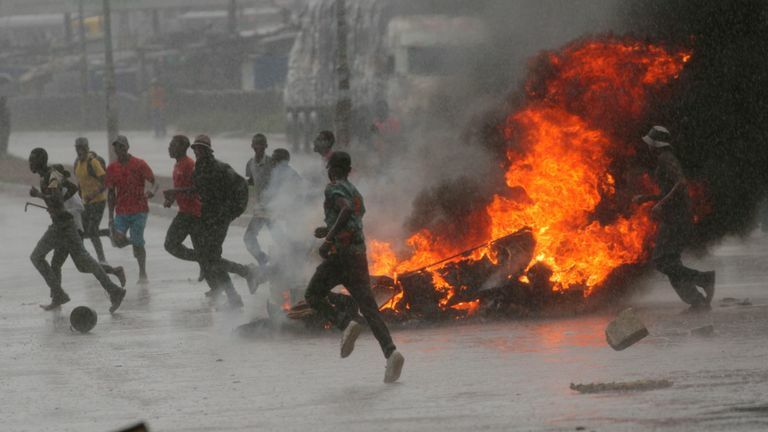 Shortly after that poll, his administration put down anti-government demonstrations – and last week’s fuel price protests, characterised as “riots” by government officials, were similarly crushed. No wonder international organisations and western governments would rather give Zimbabwe a wide berth. Mr Mnangagwa is looking more like Mr Mugabe than the man who said he could engineer the country’s new dawn. The task at hand is immense. The Zimbabwean government is a dysfunctional organisation built on 39 years of gross patronage. An estimated 90% of government revenues is spent on salaries while civil servants use their positions for personal gain. The currency system – if that is the right way to describe it – is in a something of a death-spiral, based on something called the “bond note”. It is a surrogate currency which is supposed to be equal to the US dollar but it is taking more and more bond notes to buy the same thing – like 55 bond note “dollars” for a yellow pepper in a Bulawayo this week. A US economist estimated the Zimbabwe’s annual inflation rate at 236% this week – as opposed the government’s own figure of 42%. Most importantly perhaps, Mr Mnangagwa and his closest colleagues, like the vice-president and former army head, Constantino Chiwenga, do not look like people willing to countenance the possibility that they could be voted out of office. The president knew he was going to win last year’s election when he called it (people in rural areas can lose their lives and livelihoods if they vote for the opposition) and it would take a determined attempt at reform to make Zimbabwean elections free. It is this lack of political and economic change that has resulted in the rapid deterioration of living standards since last year’s election. In Victoria Falls in northwest Zimbabwe, a community once favoured for mass tourism and foreign investment, the hotels are mostly empty and local people are largely unemployed. Few people will come here to build and develop this place – or even stay for a few nights – when the country is in such a mess.